Please do watch the video for all the details and my in depth thoughts on the foundation, and if you do, do it in HD and on You Tube. But if you really can´t be bothered, I have written down the important facts below. Give skin flawless full coverage in an instant with this foundation concentrate. This revolutionary formula offers twice as much pigment as a leading full-coverage foundation, but in an oil-free base that blends instantly across the complexion to completely cover pores, blemishes, and other imperfections with the thinnest possible layer that lasts up to 24 hours. All foundations are composed of two parts: pigment and ingredients to carry the pigment to the skin. Re(marc)able innovates by filling its formula with as much pigment as possible, leaving little room for non-essential ingredients, including water. Not only does it contain twice as much pigment as standard, full-coverage foundations, but these pigments are made of patented golden mica to give the complexion a more radiant, natural-looking glow. The pigments are wrapped in lecithin—an ingredient with a texture that feels similar to skin—to blend effortlessly and meld with the complexion for a smooth, soft-matte finish. One bottle contains 22 ml and retails for 44,95 € at Sephora here. There is no pump, but a glass applicator with which you can dot the product over your face. Sounds weird, but really a few dots are all you need. I tried all (sensible) ways of application, and yet did not succeed to find one that I was fully content with. Brush and beautyblender left streaks, so I settled to dotting a few dots on my face and quickly distribute it with my fingers. I think the main problem with brush and blender is that the foundation needs a long time to set, so if you go over it, chances are you´ll lift some off and it will look patchy. I did not buy the brush that was released with the foundation though, so that might change the application game. Despite the claims it was not easy to distribute and did not blend effortlessly. Matte. So matte that, after initial application, it looks flat. 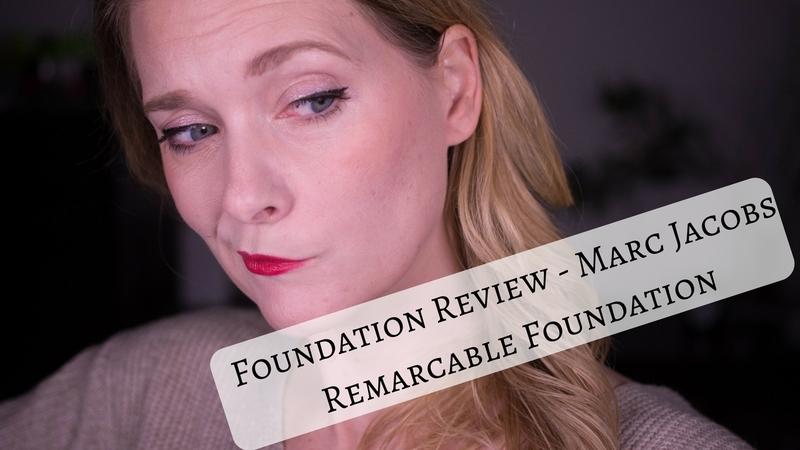 It is one of the foundations that get better with time though, and after around one hour with my natural oils coming through it looked perfect, like the velvety matte skin I always wanted and never had. 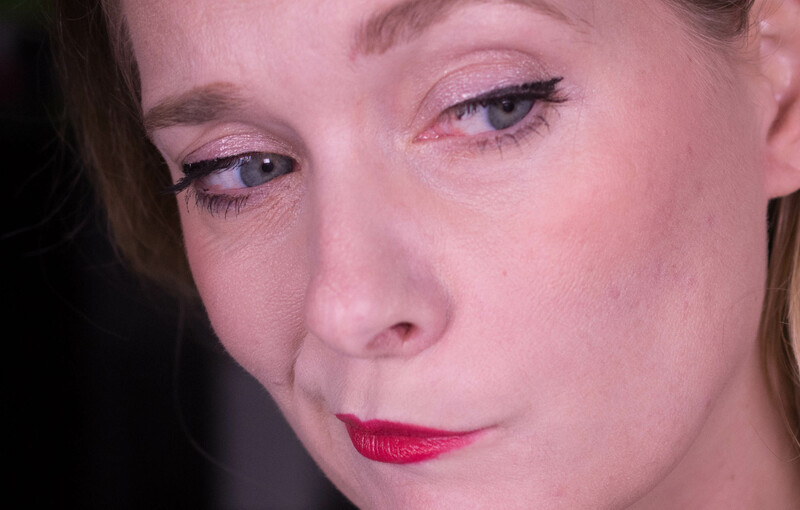 Sadly it did sink into my pores, even with a primer underneath and did emphasize any texture I had, and that did get only worse with time. Medium coverage with a thin layer, buildable to full. Only my darkest scars did peek through. 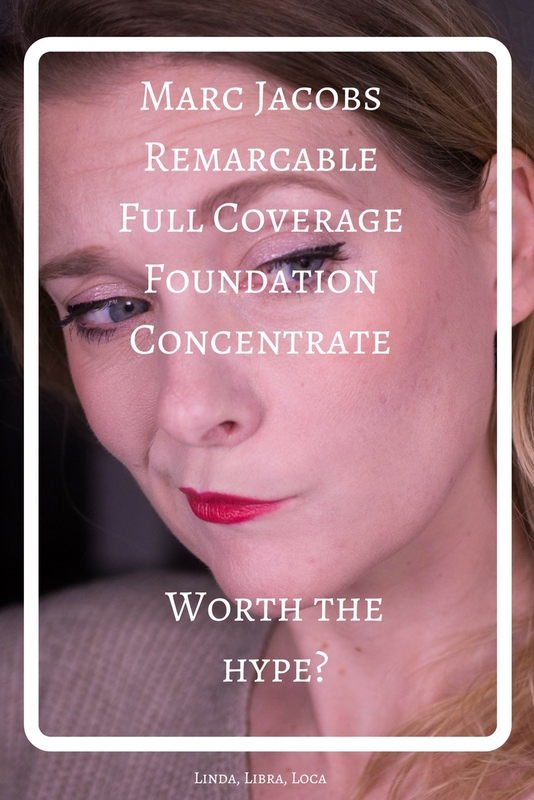 I truly believe that this foundation, according to it´s claims, contains double the amount of pigment than other full coverage ones, judging by how little you actually need. It literally felt like wearing nothing at all. This foundation is one of the most comfortable I have ever worn. 10-12 hours when paired with primer and setting spray. 8 hours without any added measures. Not 24 hours as claimed. I think this foundation is most suited at people with little to no texture and no issues with pores. Oily skins will love the way this looks, but more mature ladys like me will most likely be put off by the foundation emphasizing pores and lines. Dry skins should either bring out the big guns in terms of hydrating primers or stay away completely, I don´t think it will be very forgiving. I love the finish, I love the feel, I love how little you need, but the way that foundation looks on my skin is not flattering. I have texture and lines, and even if I can make it work with primers, powders and sprays, I will not purchase the full size.